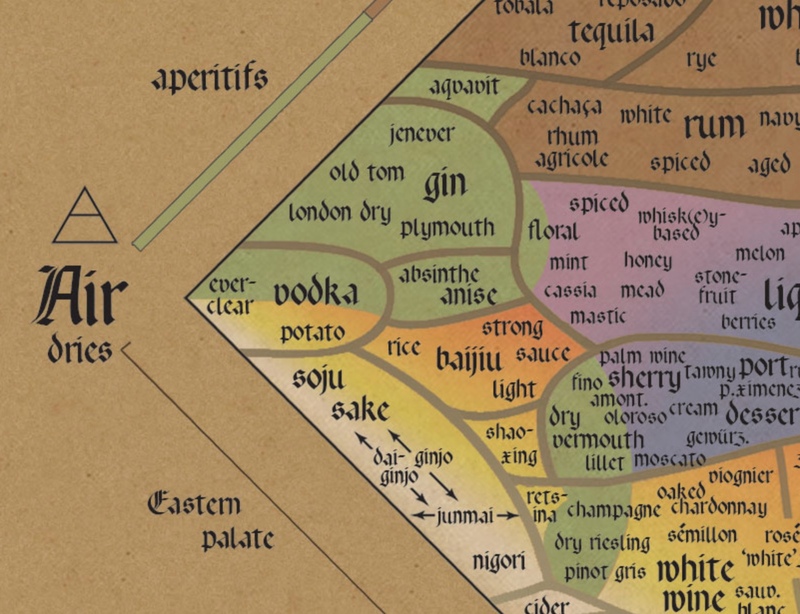 Musician Regaip "Rego" Alp Sen created this cool and comprehensive alchemist's guide to alcoholic beverages. Colors and sidebars denote pairing combinations. In this taxonomy, water elements quench and include beers and ales; air dries and includes gins and vodkas; fire burns and includes scotch and tequila; and earth embitters and includes various digestivi. His original post says he's selling posters, but there's not info on how to get one. Check out his other personal work, which includes a cookbook for nerds and some interesting audio projects. The majority of applications use "visualization" to give feedback and responses to users: think of graphs, alerts, and other visual cues about what is going on inside a computer, or what the computer has detected in the world. Unity 3D game-engine lies at the heart of Glass Brain, data visualization of real-time brain function.